The Nexus Sliding Bridge is one of our flagship products, with thousands of units in active operation with leading fleet operators around the country. 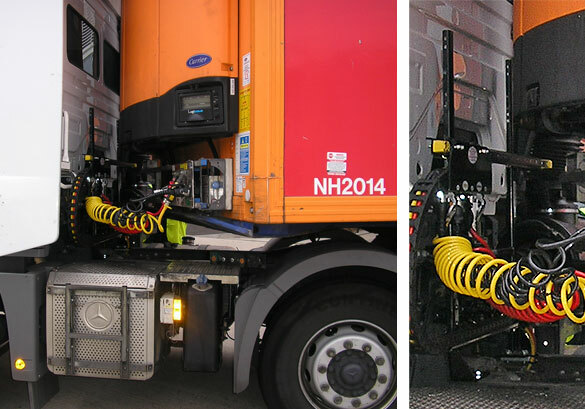 Using a free flowing distribution plate running on a rail, the Nexus Sliding Bridge allows the service cables to run horizontally along the rear of the cab to reduce the stretch on the spiral coils when the vehicle is fully articulated. 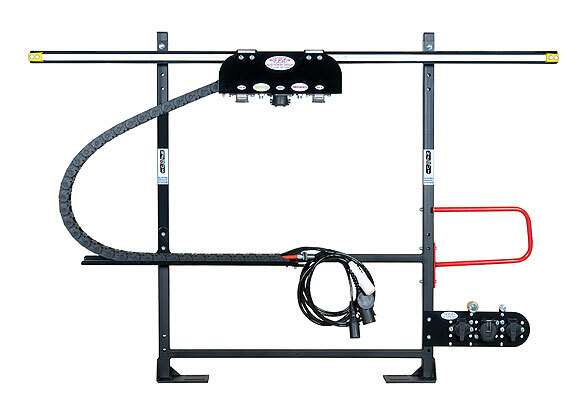 Nexus Sliding Bridges are supplied complete with a grab-handle (to help the driver access the catwalk) and a stowage plate that can be mounted towards the side of the vehicle to allow the driver to reach the connections from ground level when changing trailer.